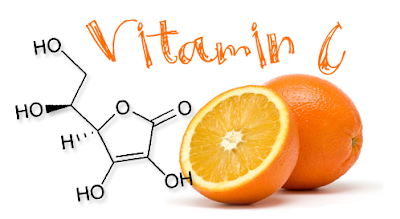 Vitamin C not only increases our body’s immunity but also helps in chemical activity. However, it is not produces in our body and we have to take supplements. A healthy person needs 80 mg vitamin C every day. There might be several diseases occur due to its deficiency. However, it is harmful to take 1000 mg vitamin C per day. Digestion: Vitamin C is necessary to keep digestive system healthy. The lack of vitamin C creates indigestion, constipation and diarrhea. Hair Fall: Vitamin C is useful for healthy hair. Hair fall occurs and it becomes white due to lack of vitamin C.
Weight: Nutrition cannot absorb properly due to deficiency of vitamin C. Therefore, the weight decreases. Dry Skin: Vitamin C gives nutrition to the skin and keeps it healthy. The lack of vitamin C makes skin dull and dry. Scurvy: Scurvy diseases can be occurred due to lack of vitamin C. One get sores in thighs and legs. People get swelling in gums and tooth removes. Fatigue: Vitamin C gives energy to the bones and tissues. The lack of vitamin C might create fatigue and weakness. Irritation & Anger: The lack of vitamin C creates weakness therefore, one gets anger and irritation. Joint Pain: Vitamin C is necessary for muscles and joint. One gets muscles pain and joint pain due to its deficiency. Gums: People get blood in tooth and gums due to deficiency of vitamin C. You might get toothache. Fever: Vitamin C gives energy to fight against diseases. People feel sick, cold-cough and fever due to its deficiency.